After living in Paris once myself, I’m personally invested in French style and make it a habit to stay up to date with what is happening in its fashion scene. 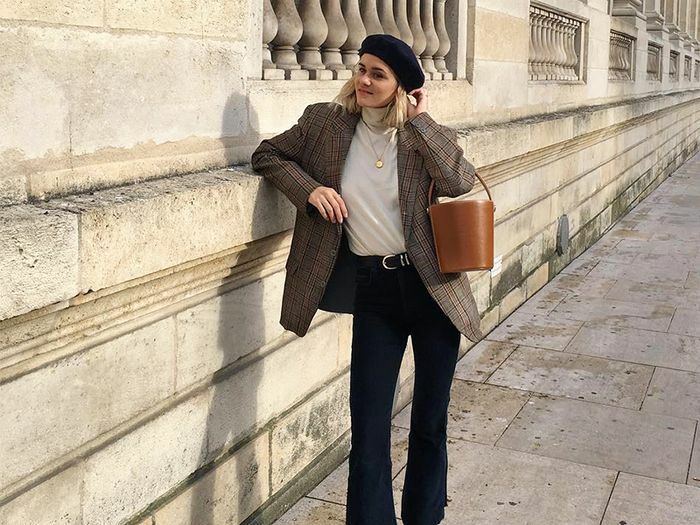 I’ve logged hours scrolling through countless street style photographs and Instagram images and chatting with French women to pinpoint what, exactly, makes them so stylish. But it turns out that Parisian style isn’t so hard to master after all. After committing a generous amount of time studying their looks, I’ve noticed some undeniable trends among French women. Right now, I’m applying those insights to fall style. When it comes down to it, there are some very real commonalities among their outfits for the season. Want to know the key items in the French-girl fall capsule wardrobe? Ahead I’m breaking how to tap into their style and shopping out the seven essential pieces you need to get French-girl style for fall. Stock up on basics like tissue-thin turtlenecks that are perfect for layering. They make an easy outfit look pulled together but also work well when you add on coats and jackets. French girls tend to skip skinny jeans. Instead, they wear straight-leg styles all year long. Another year-round staple? Blazers. Look for wool or checked versions in neutral colors. Available in sizes S/M to L/XL. A sleek leather jacket is another great layering piece during transitional times of the season. If a blazer won’t cut it, a wool duster coat is a great way to stay warm and stylish. Once the temps really start to dip, add a faux-fur coat into the mix. There are great options online, but French women also tend to look for styles in vintage stores. Available in sizes XXS-XS to S-M. Available in sizes 38 to 44. Make sure to upgrade your bag with luxe textures like velvet or satin. Next: I lived in Paris for three months and learned to dress French.